Xan De Vries (1973) is a Dutch artist and designer producing abstract and modern art based on the stockexchanges, foreign exchange, charts & financial markets. The artworks displays all kinds of subjects concerning the financial world. The paintings & designs are based on his own experience, inspiration or by inquiries. "Priceburst" (lxhxw) 100 x 100 x 2 cms oil on canvas, spraypaint, marker, glitterflags, embedded in epoxy, unframed. 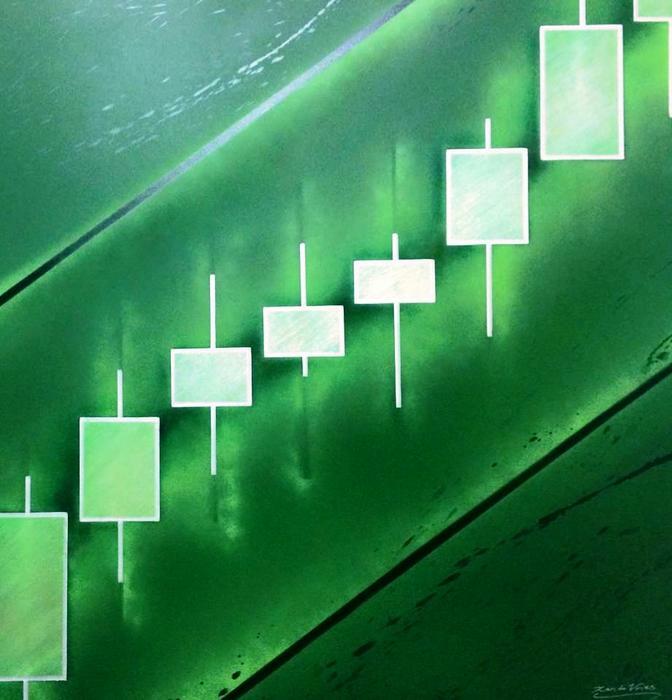 Painting features a chart consists out of candlesticks and candlestickpatterns and displays upward priceaction of a stock. "Trade Machine" (lxhxw) 90 x 60 x 1 cms highglossy, weatherresistant print on aluminium, unframed. Print features a fruitmachine displaying symbols like candllestickpatterns, numbers and currency symbols. 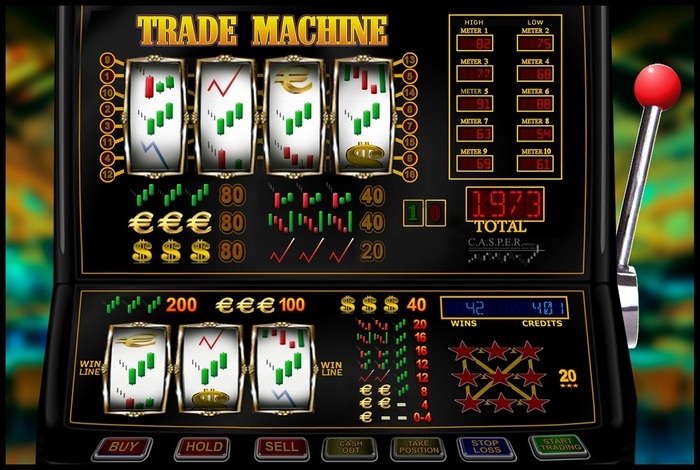 Trading the financial market is often compared to gambling is the inspiration in this design. 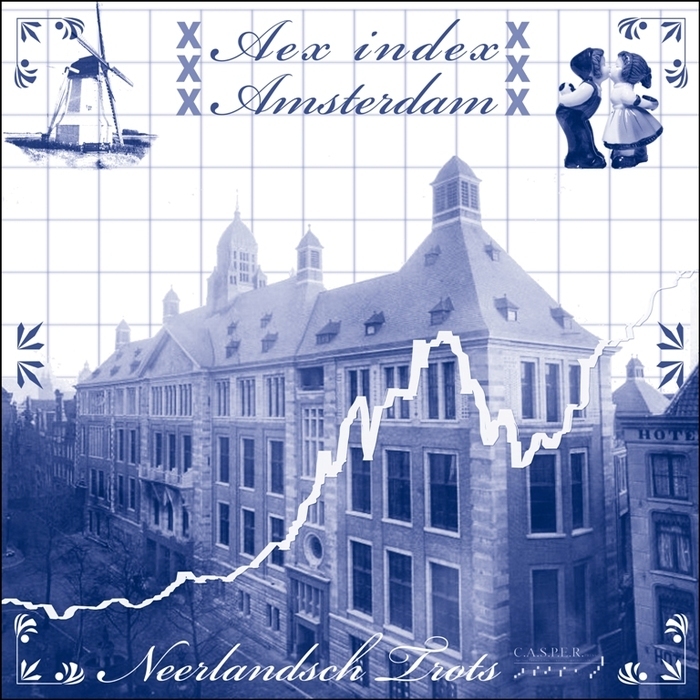 "Amsterdam Stock Exchange" in "Delftsblauw" (lxhxw) 100 x 100 x 1 cms highglossy, weatherresistant print on aluminium, unframed. Print features the Amsterdam Stock Echange building executed in Dutch famous "Delftsblauw" colors. Amsterdam Stock Exchange building is the place where I started learning to trade the financial markets. 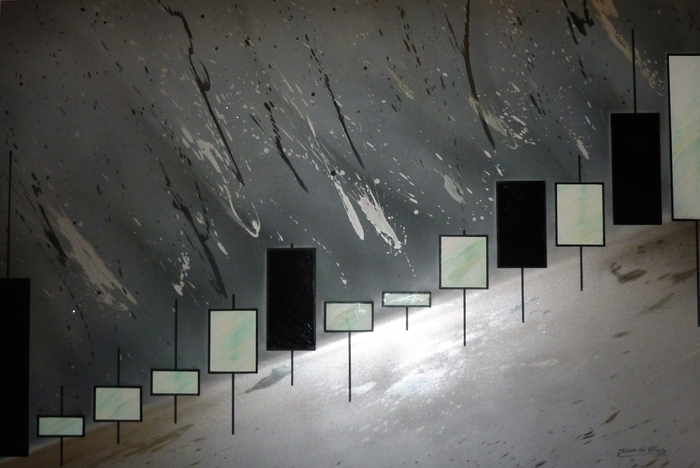 "Emerging Stock" (lxhxw) 150 x 100 x 4 cms oil on canvas, spraypaint, marker, glitterflags, framed. Painting features a chart consists out of candlesticks and candlestickpatterns and displays upward priceaction of a emerging stock. "Trendswap Blue" (lxhxw) 100 x 100 x 2 cms oil on canvas, spraypaint, marker, glitterflags, embedded in epoxy, framed. 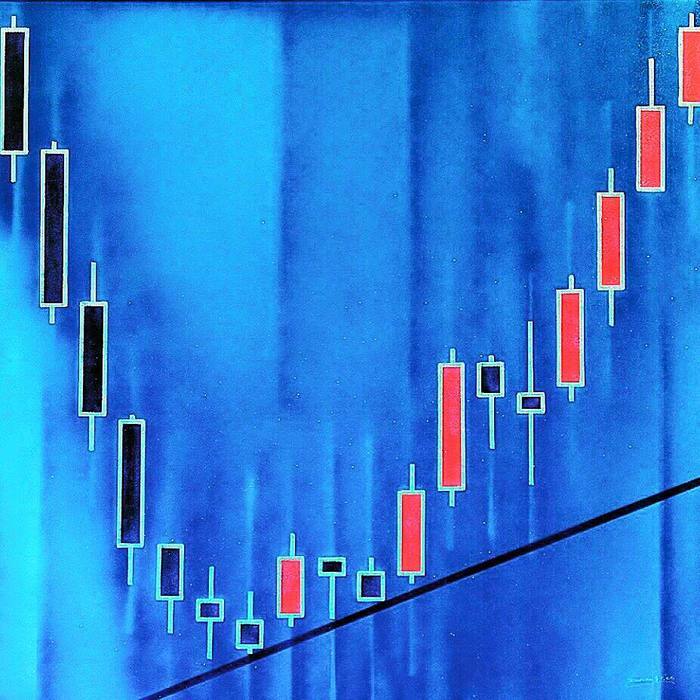 Painting features a chart consists out of candlesticks and candlestickpatterns and displays a trend change direction/ swap of priceaction of an index.